Today was Eva’s Winter Dance recital. 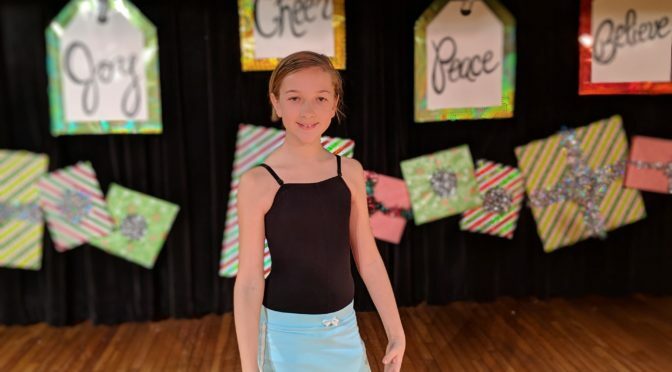 Each year the dance studio puts on a Winter Dance show as a fundraiser. Each class has a quick Christmas themed dance. The whole show lasts less than an hour and is a good time to see the kids do their dances. 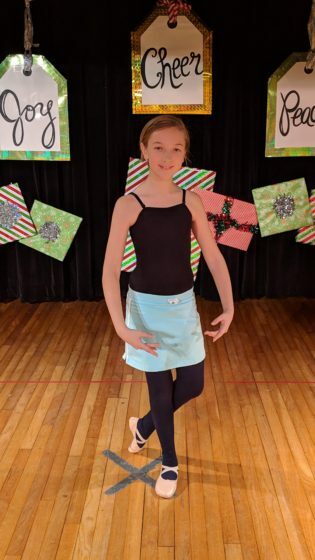 It is nice to see how Eva is progressing at the halfway point of this year’s dance season. She is did a great job out there today. We were also very lucky to have both my parents and Allison’s parents in attendance. It was nice that they got to see Eva dance.